Preview: Holy Invasion of Privacy, Badman! Actually, due to our post character limit I couldn't write the game's entire name up there in the title. The complete name of NIS America's upcoming PlayStation Portable title is: Holy Invasion of Privacy, Badman: What did I do to deserve this? I don't think there ever was a time when that entire title would have fit into one of our post headers, but we may not have to worry about it until they release a sequel to this Japanese... well, I'm not really sure what type of game this really is, actually. Allow me to try to explain after the jump. Title: Holy Invasion of Privacy, Badman: What Did I Do to Deserve This? Developer: Sony Computer Entertainment Inc. / ACQUIRE Corp. So after arriving to the event I sat down to play the PlayStation Portable strategy game that is supposedly all the rage in Japan. Not knowing a dang thing about the game, all I could think was that it looked a lot like a bizzarro Dig Dug. I tried to begin with the training level to get the gist, but I apparently hit the only button on the PSP that cancels the tutorial and takes you directly to gameplay. Thank god that they gave a presentation... otherwise I would have been completely lost forever. 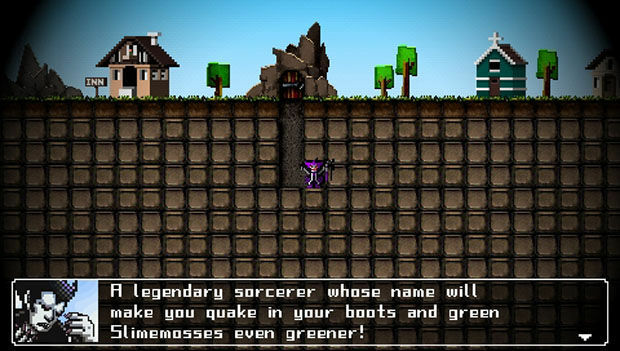 Badman (I'm not writing out that whole title again) is a game in which you control the God of Destruction to help out the Overlord Badman. That makes absolutely no sense, I know, but let me break it down for you. In a turn on the usual hero-defeats-bad-guy cliche, you play as the affable Overlord who is just chilling in his underground dungeon. Those pesky hero types are always trying to get into your dungeon and steal you treasure, kill your monster friends, and capture the Overlord in the name of goodness. The God of Destruction takes the form of a controllable hammer that you use to destroy the bricks and blocks of the dungeon layout to create a more menacing dungeon to take out the heroes. Heroes, as you know, always go back to the inn or whatever to spend the money they stole from you to heal themselves. So building a better dungeon and releasing dangerous monsters is the key to protecting Overlord Badman. Like I said before, it originally looked like a bizzarro Dig Dug. In actuality, it's more like making your own The Legend of Zelda dungeon to try and screw Link over. The heroes will keep coming in, trying to capture you, and you'll have to strategically create the dungeon to keep that from happening. 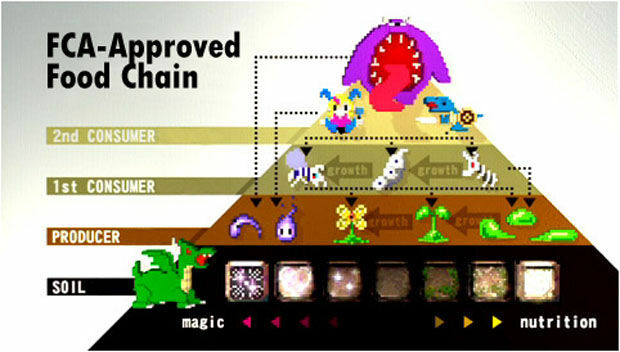 The strategy aspect of the game relies on how well you create the layout of the dungeon, and creating a viable food chain to keep the monsters alive. The playing fields are massive in every level, and the monsters are varied depending on their placement in the soil or general location. It goes without saying that the title is weird, quirky, and thoroughly Japanese. The text of the game will appeal to Japanophiles immensely, since it has many, many homages to manga and anime. The PSP seems to be a haven for titles such as this one, so I can only assume that Badman will find a nice home to many a fan. Also, the makers of the game have created to get you into the mood for some hero slaying. The contest details are below, and it begins on 4/10/09. page. What lies in this page will be slowly revealed through player exploration.